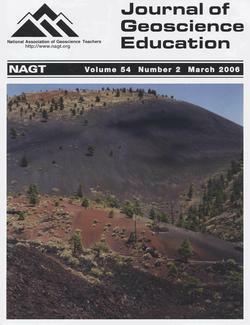 This issue of JGE showcases the wide variety of ways that we teach students in the field. Field work has long been a hallmark of geoscience. Field experiences are fun (if the weather is good) and offer unique opportunities for students to develop skills in observation, description and interpretation that lie at the heart of our science. However, as the ways we use these skills in the work environment and in research have changed, so have our approaches to field experiences. Our profession now uses a wide variety of methods to engage students in the field: field trips, field camps for students and teachers, field experiences in courses, and even virtual field trips. New technologies provide new opportunities for teaching in addition to new tools for observation. Field experiences also serve as an opportunity to bridge between scientific, community and environmental policy issues. This range of field experiences and more await the readers of this volume. In putting together this volume we were particularly interested in questions regarding the impact of field experience on students learning: What is the value added to a course of study by providing a field experience or by incorporating field data? What are the impacts on student learning? How can field observations and experiences help students better understand the methods and results of geoscience research? What is the relation of learning in the field to learning in the classroom? We thank the authors for their attention to providing data evaluating their methods and programs and discussing the impact on students. 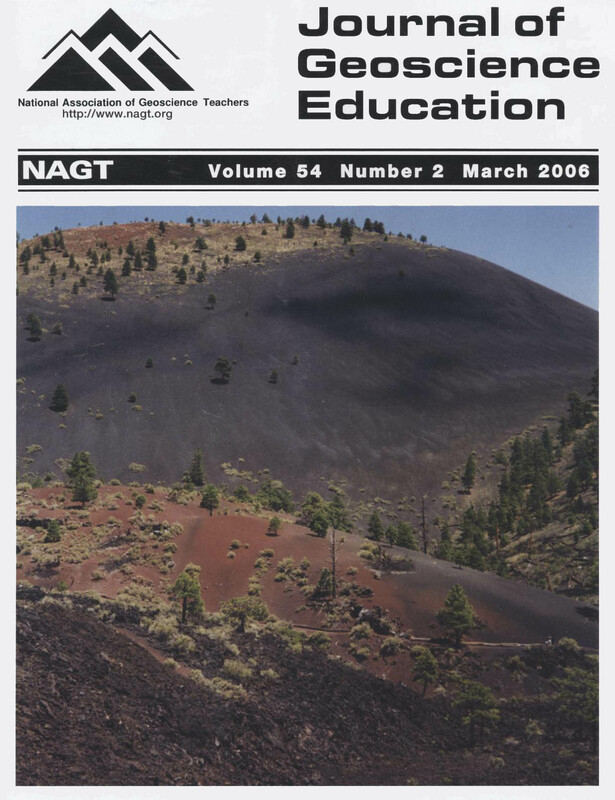 This volume is part of a series of activities by the National Association of Geoscience Teachers highlighting the role of field experiences in geoscience teaching and professional development. Many of the papers were first presented at an Illustrated Community Discussion held at the 2004 Annual Meeting of the Geological Society of America. Posters from this session can be found at http://serc.carleton.edu/NAGTWorkshops/field_experiences/index.html. More examples of field labs can be found on the NAGT sponsored website: Starting Point: Teaching Entry Level Geoscience. We would like to thank all of the people involved in creating this volume including the authors for their creative work, the reviewers for their careful and timely responses, and the JGE Editor, Carl Drummond for his patience, encouragement, and effective management. We hope that this volume inspires many of you to try new ideas for teaching in the field and that you too will pay particular attention to documenting the impact of these experiences on your students. Fairmont State University (FSU) and the West Virginia Geological and Economic Survey (WVGES) provided a small pilot group of West Virginia science teachers with a professional development session designed to mimic experiences obtained by geology majors during a typical summer field camp. Called GEOTEACH, the program served as a research capstone event complimenting the participants' multi-year association with the RockCamp professional development program. GEOTEACH was funded through a Improving Teacher Quality Grant administered by the West Virginia Higher Education Policy Commission. Over the course of three weeks, eight GEOTEACH participants learned field measurement and field data collection techniques which they then applied to the construction of a surficial geologic map. The program exposed participants to authentic scientific processes by emphasizing the authentic scientific application of content knowledge. As a secondary product, it also enhanced their appreciation of the true nature of science in general and geology in particular. After the session, a new appreciation of the effort involved in making a geologic map emerged as tacit knowledge ready to be transferred to their students. The program was assessed using pre/post instruments, group interviews, journals, artifacts (including geologic maps, field books, and described sections), performance assessments, and constructed response items. Evaluation of the accumulated data revealed an increase in participants demonstrated use of science content knowledge, an enhanced awareness and understanding of the processes and nature of geologic mapping, positive dispositions toward geologic research, and a high satisfaction rating for the program. These findings support the efficacy of the experience and document future programmatic enhancements. Traditionally at Washington and Lee University teaching in the field has been the core of our geology curriculum. We emphasize fieldwork at all levels of our instruction from the field-based introductory courses to our senior theses. We are fortunate to be located in a geologically diverse location (in the Valley and Ridge of Virginia and within minutes of the Blue Ridge Mountains). The close proximity of geologic variety allows us to spend nearly every class or laboratory period outside. We view fieldwork, however, as just the beginning of geoscience education. A crucial aspect of field geology is making observations and synthesizing the data collected. It is equally important for students to have well-developed skills in field methods, in analytical techniques, in computation and modeling, and in synthesis and presentation. To emphasize all of these aspects, our coursework is largely focused on emulating the process of research. Because we have had such a strong field emphasis, we are striving to strike a balance in our curriculum. We will present 3 examples of integrated exercises in our geology courses (including introductory geology, sedimentary geology, and geochemistry). For three years an on-going multidisciplinary research, teaching, and outreach collaboration has focused on the Muddy Creek Watershed in east-central Kentucky. At the core of the effort is a three-way partnership among a geologist, a geographer, and a biologist-two academic, one a state agency representative. The collaboration frequently includes additional academic partners, nonprofit and community members, and government agency personnel. It has produced graduate and undergraduate student learning experiences from individual student field projects, a course redesigned to include a major class project, and the incorporation of additional field-based components into existing coursework. Logistical and financial challenges require creativity to overcome. We advocate institutional mechanisms supporting interdisciplinary collaboration, such as funding incentives for field-based student work and increased recognition in the tenure and promotion processes. Absent these mechanisms, our own success has been built upon (a) regular communication; (b) creativity and flexibility in exploring opportunities for collaboration; (c) mutual respect for each other's professional and personal strengths; and (d) an underlying sense of trust, shared vision and unwavering generous spirit that could not necessarily be engendered by any institutional policy or practice. The Environmental Sciences Program at Northern Arizona University developed an interdisciplinary field course combining natural sciences (geology, biology, and chemistry), policy and land management centered on a place-based set of problems. The course consists of a campus-based semester of study of scientific, management, and political issues surrounding the lower San Juan River basin of southeastern Utah. Students then spend eight days on the river conducting scientific studies and discussing their management and policy implcations. The desired learning outcome of the course is for students to be able to integrate complex environmental field data, and the course structure and evaluation criteria emphasize this. Students work in large and small groups on problems that combine geomorphology, geochemistry, and ecology, such as stream terraces, soils, and the plant communities they support, soil development and chemistry under native and non-native vegetation, and biological soil crusts and soil development in arid lands. Discussions on the management and political implications of the students' findings give a "real-world" relevance to their work. Conducting a field class on a remote river presents a number of difficulties and opportunities. River logistics are handled by a commercial outfitter so professors can concentrate on academic issues. As the global population continues to increase, consumption patterns and waste streams will directly impact the surrounding environment. How well communities manage natural resources (land, air, water) within urban environments will directly relate to quality of life, health, and the economy for a vast percentage of the world's population. The Indiana University-Purdue University Indianapolis (IUPUI) Center for Earth and Environmental Science (CEES) coordinates and facilitates the Environmental Service Learning Program for our campus. The goal of the program is to engage students in urban water quality education and environmental stewardship activities to promote behavioral change and greater environmental awareness. The service learning work days, where students spend an average of four contact hours, are part of community-based research programs predominately conducted at CEES research sites throughout central Indiana. A partnership with The City of Indianapolis Department of Parks and Recreation Land Stewardship Office (Indy Parks) is a core component of the service learning program. CEES scientists conduct wetland and floodplain restoration research and hydrological research within many Indy Parks properties, which are the locations for service learning work days. During each work day, students are paired with CEES scientists and Indy Parks natural areas managers to restore park ecosystems. Work day activities involve restoring wetland and floodplain ecosystems and combating nonpoint source pollution through agricultural field tile removal, native plant installation, invasive exotic plant species eradication, and hill slope stabilization, as well as trash and recycling removal. Students are introduced to the site, the activities for the day and the application to course concepts. During lunch breaks, faculty and staff conduct group discussions reinforcing course concepts. After project completion, each student is required to reflect on their service learning experience with a 2-5 page reflective summary paper with references based on work day applications to concepts outlined in their individual courses. The CEES / Indy Parks partnership provides students with opportunities to apply course material to contemporary environmental problems while contributing to improved water quality. During Spring and Fall of 2004, the Environmental Service Learning Program conducted 18 projects with 550 students that contributed over 2,200 work hours in the community. Excerpts from student reflection papers strongly indicate that participating in service learning has changed their perception of their role in the environment. The long term effects of increasing environmental education and awareness will lead to a more informed citizenry, well equipped to solve future challenges. We recast a standard igneous petrology course at Fort Lewis College into a field-based, inquiry-driven research course focused on a specific field area, in this case the Tertiary volcanic complex at Ship Rock, Navajo Nation, New Mexico. The main goal was to allow undergraduate students an opportunity to use field work to investigate advanced topics in igneous petrology while engaging in scientific research and developing important skills that are needed for all careers in science. Constructing research projects around this class enabled students to learn science by doing it, and to carry enthusiasm for research into further studies. This also better served the needs of the Geoscience program at Fort Lewis College by further developing skills for critical analysis and inquiry, and building on content taught in the introductory petrology course. Many geoscience students do not receive the opportunity to use handheld computers and similar tools during field experiences until they enroll in upper-division courses or attend field camp. Although many outdoor exercises in introductory-level courses include demonstrations of pieces of equipment in the field, students in these classes may not have a chance to use these equipment individually. However, handheld technology can be successfully integrated with introductory-level field experiences as a data collection tool and reference guide. Palm Pilot handheld computers offer each student the opportunity to become actively involved in the field experience. Forms can be created and tailored to a specific outdoor investigation and placed on the Palms for students to collect data. Instructors can create instructional videos and eBooks with references on the Palms that correspond to the project objective. For two years Penn State Delaware County has integrated handheld technology with field experiences into introductory-level geoscience courses in physical geology and oceanography. In addition to giving students a valuable introduction to technology that can be used in the field, the experience gives non-science majors a chance to see an application of an everyday technological tool in a nontraditional setting. End-of-semester course evaluations are filled with positive comments and student suggestions of further Palm Pilot integration. The authors developed a portable audio/video system using consumer electronics to make use of travel time during field trips. This system gives field instructors the ability to deliver PowerPoint presentations, instructional videos/DVDs, and CD-ROMs to students while in-route to field stops. This information technology makes use of the time in-route as instructional time, increases the time students participating in field excursions have in the field to make observations, and expands the use of information technology from being primarily a campus-based pedagogical aid to a field-oriented pedagogical tool that is used to focus the students on the academic objectives for upcoming field stops. Student interviews indicate that: a.) the use of this technology was a positive experience, b.) students perceived that the DVD and PowerPoint media helped focus their attention on upcoming field stops, and c.) the use of the devices increased the total time they had outside the vehicle for study. Instructors using the technology to show interdisciplinary media observed enhanced student assimilation of topics relevant to various courses of study on an extended interdisciplinary, field-based educational program. We have been developing and teaching the components of mobile GIS in Field Methods courses and will be incorporating them into Structural Geology exercises. Since the bedrock in east central Indiana is topographically invariant, non-inclined, and often not exposed, we have developed a new introductory GIS project that simulates structural features. It utilizes inclined, one-foot square planes that are placed upon a series of pedestals stationed in an open area, each accompanied by a petrographic hand sample and an age label. An introductory one-hour session is held in the field to teach acquiring GIS data. Then the students independently acquire geologic data such as GPS-located "outcrop" locations, rock descriptions, and strike/dip, and enter the geologic data on a base map using Mobile GIS software (ArcPad). In a two-hour follow-up class students learn to add their field data to a map in the PC-based GIS program ArcMap. Strike/dip symbols are computer-generated and displayed at the GPS coordinates taken in the field. This exercise supports spatial organization with data availability of Mobile GIS in the field and prepares students for GIS-based mapping projects in our Field Camp in Wyoming. Michael M. Kelly, MMKAA, Inc.
Geology students often have difficulty learning the baseline terrain-analysis skills required for success in introductory field geology. Students in the Introductory Field Methods class at Northern Arizona University are prepared, in part, for field-mapping experiences through exercises with stereo photographs and topographic maps. To improve spatial skills and enhance confidence, we added a computer-based virtual environment (VE) to this early training. Using the GeoWall, we developed a VE in which students navigate and transfer location information and geologic contacts from the VE to a paper topographic map. Following this exercise, students go into the field to produce a geologic map of the field area. Using a Wilcoxon rank sum test we examined scoring differences between the experimental group from 2003/2004 (n=27, Median = 80) and those in a control group from previous years without the visualization exercise (n=35, Median = 60). At an alpha level of 0.05 the mean ranks of the control and experimental groups are statistically different (z = 3.67). These results, together with student narratives and attitude surveys, suggest that the virtual environment had an effect on student mapping performance that is coupled with an increase in spatial survey knowledge and increased confidence in the field. We offer a short expedition focused on developing the sense of geologic space and time traditionally acquired during field camp to a wide range of students, including future geoscientists, environmental scientists, K-12 teachers, and anyone planning to communicate geoscience to the public. The expedition and minimal prerequisites fit easily within crowded program requirements. Our methodology is adaptable to most regions, although we chose a transect from the Colorado Plateau to the Sierras because of minimal vegetation, easily distinguishable formations and structures, and the relationship of the geologic history of the region to more obvious plate tectonic events in the Coast Ranges and Sierras of California. This relationship is spectacular and always stirs the imagination of our students. We focus upon enabling students to interpret the landscape wherever they are and to place it within a bigger picture by refining their observational skills at all scales and by requiring intensive practice in inquiry-based critical thinking as they propose and evaluate continuallyevolving geological ideas. Active learning promotes facility with maps, images, and current literature and prompts vigorous debate. Extensive pre- and post-trip course-embedded assessments support writing across the curriculum. A petroleum-engineering geology field camp in existence for over 50 years has evolved to reflect the goal of developing a multidisciplinary foundation, or shared cognitive interface, with other geoscience disciplines. Five learning objectives form a framework for a series of progressively complex exercises. Students make geologic field maps, measure sections, record notes, create field sketches, and link outcrop to the subsurface through a series of complementary daily field activities. Field experiences create tangible links and mental images for comprehending the subsurface. Orienting the field activities toward the ultimate goal of developing a shared cognitive interface helps us overcome challenges that include dislike of geology and inexperience with the outdoors, teaching iterative and relational thought processes, and creating linkages to promote retention of material. Varying the physical and content pace of the course helps keep the non-geology audience engaged. Sequential field activities use technology to iteratively analyze the same problem. Daily journals supplemented by activity reports and exams promote assessment of content and teaching effectiveness. Asking open-ended questions in activity reports is most effective for assessing relational thinking. In the long-term, effective assessment comes from observations in a succeeding multidisciplinary design course.